Did you enter the Channellock Gridiron Garage Giveaway 2015 yet? 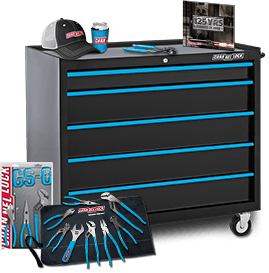 While you could win great prizes such as tickets, tailgates and tools in the biggest gridiron garage giveaway yet, Channellock has another promotion for you – the BIGAZZ Rewards Instant Win Game And Sweepstakes! This time, enter at bigazzrewards.com and you could win from over $60,000 in prizes including Channellock tools and swag packs. You may also request a free game piece with prize code, by sending a self-addressed stamped envelope to: ASC/Channellock “BigAzz Rewards” Code Request, 300 State Street, Suite 402, Rochester, NY 14614. Once you obtained your prize code, visit bigazzrewards.com starting on October 1st and fill out the entry form by providing your name, email address as well as your prize code to see if you’re an instant winner. Each prize code submission will result in one (1) Sweepstakes Entry into the Grand Prize Drawing that will be held on or about January 10, 2016. Prize codes can be submitted until 11:59:59 p.m. ET on December 31, 2015 to be eligible to win a prize instantly. Open and offered only to legal residents of the fifty (50) United States and the District of Columbia, who have reached the age of majority in their state of residence at the time of entry. 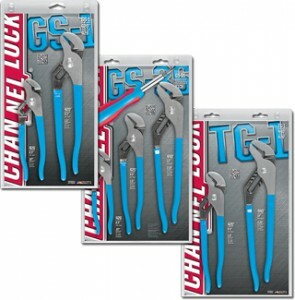 At the end of the promotion, two (2) Grand Prize Winners will be randomly selected and will each receive a Channellock tool kit valued at $2,000. Do you have your prize code?